First of all, I got a confession to make! 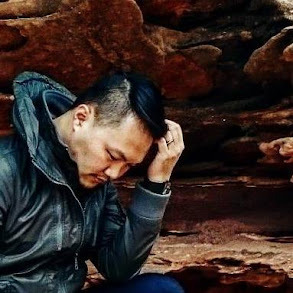 In the beginning, it was about contest => #FreshtoGoContest2016 by #7ElevenMY, but after trying for awhile.... I macam ter-convert to 7-Eleven, I am like buying and trying all the #FreshtoGo food stuff one by one! Well, I do find it convenience to pre-buy food the night before, prep my breakfast, just heat up and voila, food served! 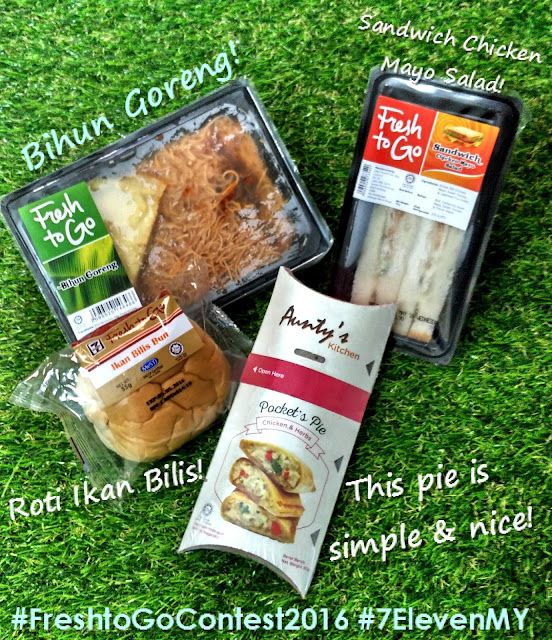 For the first round, I had bihun goreng, sandwich chicken mayo salad, roti ikan bilis and a pocket pie! Although at first, it was all about contest but after awhile, I realize, hey... this suit my lifestyle! What the hack! So I decided to just show you.... my shopping experience with 7-Eleven, in video. Take that! LOL! So, this is at Bangsar, Jalan Telawi 5... I like this outlet (yes, I went to multiple outlets!) and find this one pleasing, everything is so tertib, clean, stock up to the full, bright and it has everything! #justsoveryperfect! Yes, you might just faint, exactly like her - if there's no FOOD. But I have yet to try the Nasi Lemak, I really want to try it! Entah kat mana boleh dapat, or maybe it's so good, it's always sold out when I visit 7-Eleven... I will try to go earlier next time! 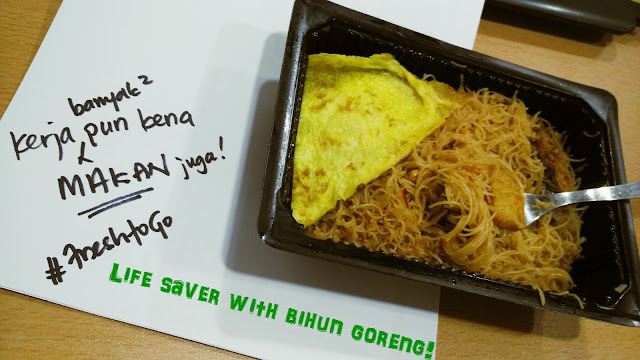 I love the bihun goreng! Great for when I'm in a rush to work, and I can just pick it up on the way. I think I've tried nasi lemak once, its good too!